L.E.T. has changed countless corporations and private businesses with its down-to-earth communication and conflict resolution skills. 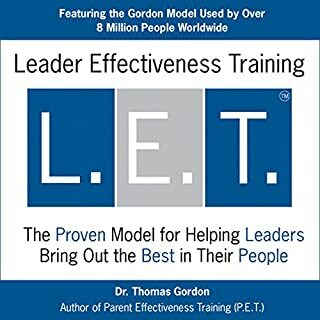 Dr. Gordon's L.E.T. program is a core program in more than 1,000 corporations around the world, including many Fortune 500 companies. The methods and skills that have proven to be essential for so many leaders can work for you, too. This is A REALLY concise book about leadership with multiple angles on also team management, task setting and goal achievement. 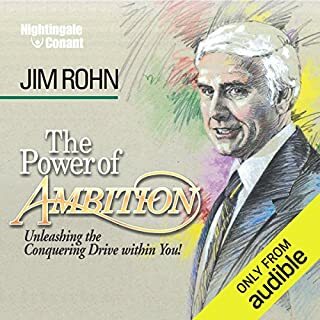 I listened to this as an audio book and was able to get a nice overview of the needs of people and how you can be a leader who empowers the growth of all those around you and at the same time rally a strong team to get a job well done. Would definitely re-read the physical book and write up action plans to apply to my organisations. Didn’t google to see whether this is a true story or not! Regardless it felt real at many parts. The format of the book follows a narrative of rules, laws and observations. Surely an Interesting read as it views the world from a different perspective. There are so many things we tend to do that are very short sighted or as the book says finite games. Switching up to the infinite game mindset, such as the ones played by ancient Egyptians created legacies that outlived the players. They definitely played an infinite game and death was only a part of it and not the end of it. It touches upon society, relationships, religion, politics, war and even sexuality. 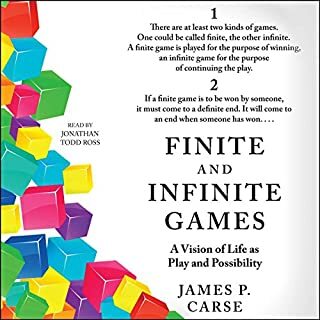 With many examples to demonstrate finite/infinite games in those chapters. Deep book and will definitely read it again. Probably after reading Simon Sinek simplified version. “Explanations succeed only by convincing resistant hearers of their error. If you will not hear my explanations until you are suspicious of your own truths you will not accept my explanations until you are convinced of your error. Explanations is an antagonistic encounter that succeeds by defeating an opponent. It posses the same dynamic of resentment found in other finite plays. I will press my explanations on you because I need to show, that I do not live in the error that I think others think I do. Whoever wins this struggle is privileged with the claim to true knowledge. Knowledge has been arrived at, it is the outcome of this engagement. Its winners have the uncontested power to make certain statements of fact. They are to be listened to. In those areas appropriate to the contests now concluded, winners possess a knowledge that can no longer be challenged. Knowledge therefore is like property. It must be published, declared, or in some other ways so displayed, that others cannot but take account of it. It must stand in their way! It must be emblematic, pointing backward at its possessors competitive skill, so close are knowledge and property, that they are often thought to be continuous. Those who are entitled to knowledge. Feel they should be granted property as well and those are entitled to property, believe a certain knowledge goes with it. Scholars demand higher salaries for their publishable successes, industrials sit on university boards. Do a factory reset & get rid of the nice shackles! I loved the content of this book! 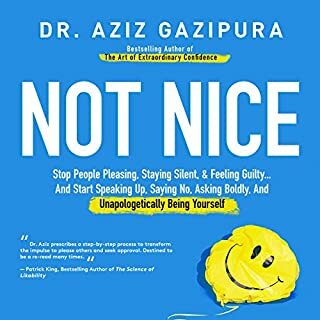 A lot of details on our conditioning to become nice and how the environmental pressures start taking us to not be ourselves under the notion of you are not nice! Soon enough we start becoming timid because we don’t want to be perceived as not nice or a-holes. 1- You are not responsible for other people’s feelings. This was like WOW! I am personally a very empathic person and would usually care that other people are feeling great in my presence. However this resonated with me because people’s choices to feel good or bad is like I said A CHOICE, that I have nothing to do with. All those hangouts we did not want to attend and the amount of things we say yes to but secretly feel resentful about are mere signs that we are NOT GENUINE with our true needs and wants. We just want to be nice so agree to things against our personal interests. 3- Voice your concerns openly and clearly. It is not as bad as you think. As long as you are being objective and not personally attacking people, you will be fine. Voice disappointment, don’t let people INTERRUPT you -all those golden rules about conversational etiquette are rarely followed and people will interrupt you at work, school and personal life. I am not done yet with my point. Let me finish and then you can speak. 4- What people think of you does not concern you. A good example is how kids just say what’s on their minds. They simply blurb stories mid way and start talking with enthusiasm about absolutely none-sense with no censorship nor concern about what you MIGHT think of them or their story! They just assume you will like it because they genuinely like it themselves. P.S. At the end of the book there is a 30 day boot camp that give you a small daily task to BREAK FREE of your NICE PROGRAMMING. 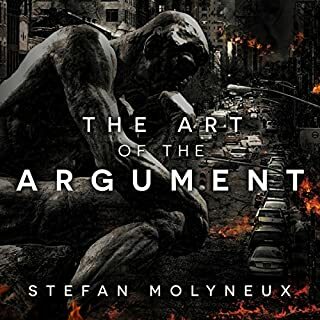 This book sheds the light on how arguments must be objective, rational and civilised. The author states that they are indeed the pinnacle of civilisation. Personally I am not sure of how accurately the author defines the scientific terms he introduced. Which is somewhat ironic because he spends a lot of time elaborating on how terms should always be defined accurately in any argument. To avoid the insincere and manipulative sophists (bad people) to toy with and control people. All in all such a book is quite controversial for the intellectuals and esteemed philosophers. Therefore, I suggest as always for it to be taken with a grain of salt. a. Kind people are socialists. b. Bob is a kind person. c. Therefore Bob is a socialist. We see this all the time in societies were people generalise their argument based on specific occurrences. Moreover, he states that inductive reasoning is more about probabilities and tries to make a point that deductive reasoning and the reliance on empirical arguments is the basis of a good argument as it is about certainties. 2- Synonym logic - describes how in political debates, a party would try to paint their agendas with virtuous articles and hence strengthen their power against those who oppose it. e.g. If a political party tries to allocate a bigger budget to build more governmentally funded day care centres based on the reasoning that future generations have a right for education. Then they are establishing that education exclusively means governmentally funded day care centres. Meaning that if you are against the budget allocation then you are simply against education. 3- Egalitarianism - We cannot have both equality of opportunities and equality of results. We cannot expected everybody in a race to finish first if they all have an equal starting point. The only way to make everyone in a race finish first is by placing them at different starting positions according to their speeds. Hence, black and white egalitarian ideas can not work. A predator must be absolute in its reasoning. The lion must correctly identify and stalk the zebra, must calculate speed and interception without error, must attack and bite accurately, and must persist until the prey is down. All this must serve the conclusion: the meal. However, prey has a different set of calculations because a predator can see the prey, but the prey usually cannot see the predator – at least until it is too late… Dominant life forms revel in absolutes and fight hard against any encroaching fumes of rank relativism. A tiger cannot hunt if it doubts the evidence of its senses. The life of a zebra is a life of doubt, of fear. The lion stalking the zebra is engaged in proactive behavior, and thus, by initiating the encounter, is in far greater control of the variables… Initiating action requires the certainty of deductive reasoning, and control over variables increases that certainty… The pursuit of the lion is the initiating action, the flight of the zebra is the reaction. Broaden your horizons and read this book. 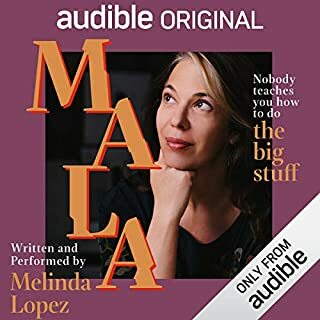 I own both the hard copy and the audio version of this book and I have to say that they BOTH need you to pay attention, if you want to actually learn something. 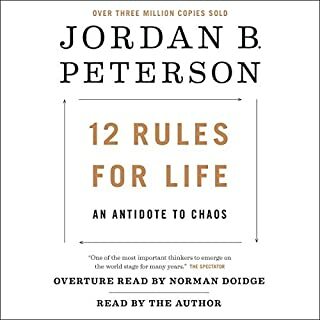 I liked the outlook to life from a psychologist’s perspective and Jordan is definitely very well read in many other streams like history, mythology, philosophy and arts which make this book really interesting. It is almost a chaos of ideas beautifully intertwined together. Reminds me of my thoughts inside my own head. I did switch to the hard copy at rule 3 because I admired the choice of words Jordan used. I wanted to take more of the words in, let them sink and reflect. However, I switched back to the audio version at rule 10 and It was still an okay transition. It is definitely a book that makes you think. A lot. It is a book that is not for children but you will wish you have read it when you were much younger. 1- ADDRESS ISSUES AS THEY ARISE. Don’t sweep problems under the rug, because that’s how they will silently keep growing, until the problem is at its strongest and YOU are at your weakest. AND that is when it blows up in your face. 2- KNOW WHAT YOU WANT. We can’t get anywhere if we don’t have a destination in mind. We have to be responsible enough to choose a goal and then be patient enough to pursue it. Nurturing a better version of ourselves is a process not a one day activity. Little steps done everyday over a long and I do mean LONG period of time will get us where we want. It should be done actively, through positive encouragement and rewards. Loathing in self criticism will simply destroy us if we are not mindful of the negative self talk. Pragmatic actionable & to the point. I was skeptical about this book for the somewhat cliche title and specially that I thought I am quite driven and don’t need any ambition at the moment. I WAS WRONG!…I realised that there is a lot more that I was able to take and use. This book is NOT your average motivational “YOU CAN DO IT!” kinda book. -DISCIPLINE goes a long way when it comes to challenging tasks. Take a task and go at it consistently, day in and day out until it’s finished. -Being ENTERPRISING “is to keep your eyes open and your mind active. It's to be skilled enough, confident enough, creative enough and disciplined enough to seize opportunities that present themselves…regardless of the economy.” I believe this is a golden ticket for people who are tired of complaining. This is your way to success. - How long should you try? Until. - Don’t say, ‘If I could, I would.’ Say, ‘If I can, I will. - Discipline has within it the potential for creating future miracles. Only a leader gets to learn from this book! 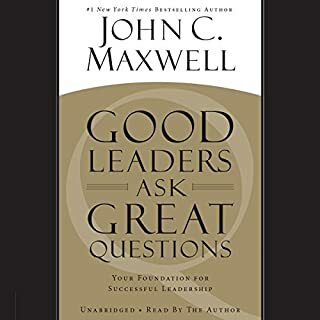 I really enjoyed listening to this book because it is an aggregate of so many questions that many leaders would be asking in their lifetime - at one point or another. So Maxwell offers the answers based on his extensive experience in the various leadership positions he held in his life. 1- You won’t be able to carry people forward if they don’t want to go there themselves. 3- FIND YOUR STRENGTHS and DON’T MAJOR IN YOUR WEAKNESSES. - I don’t Believe you can do today’s job with yesterday’s methods and be in business tomorrow. - The book you don’t read can’t help you; the seminar you won’t attend can’t change your life. The business gets better when you get better. Never wish it were easier, wish you were better. One of the ways Coach Wooden used to do that was to ask his players to acknowledge the skills and contributions of others. He told each player that if a teammate made a great pass or set a pick that allowed him to score, he should acknowledge the teammate on the way back down the court. One time a player asked, “Coach, if we do that, what if the teammate that made the assist isn’t looking?” Coach Wooden replied, “He will always be looking.” Coach knew that people look for and thrive on acknowledgment and appreciation. This book was such a smooth read! I was able to understand the very positive style of leadership Ed has and how he is constantly modifying it to be more people centric rather than management centric! 1- many of the Pixar and Disney movies like toy story, bugs life, finding Nemo, frozen, tangled, etc! 2- Steve Jobs and his style of leadership in his youth and how it changed dramatically as he aged and became wiser. How Steve Jobs helped Pixar grow, etc. 3- the inside story of Pixar and the merger with Disney. How tricky it was to simultaneously run both companies before they ran each other to the ground. 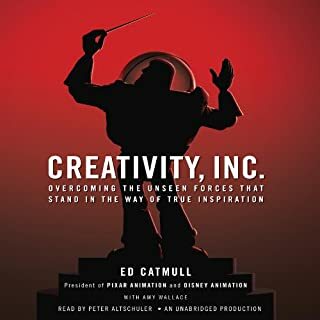 Highly recommended if you want to know about LEADERSHIP of huge amount of people who need to be given autonomy and empowerment to be able to PRODUCE CREATIVE WORK! Amazing stories and lots of suspense. What do you expect when a professional story teller decides to write a book. -Eliminate your desires. It’s not necessary to want things. Sometimes you have to let them come to you. - Be excellent in the presence of others. Show people the things that you are very good at. - Withdraw. At a crucial moment, when people are expecting you to come after them, pull away. 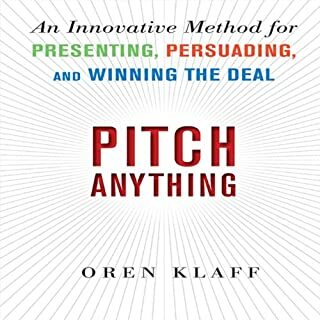 I congratulate the author on putting together the anatomy of the perfect pitch.